Celebrity bash of the week was at Marylebone Italian restaurant Fucina, which has just had its annual festive makeover and invited the movers and shakers of London’s high society to take a look. VIP guests included: model Zara Martin, other model Clara Paget, other model Nella Ngingo, Dua Lipa’s “fit chef” boyfriend Isaac Carew, TV presenter Pips Taylor, fashion photographer Alistair Guy, fashion writer and self-styled Queen Sloane Henry Conway, art dealer Jean-David Malat, male model Kit Warrington, other male model Omari Phipps, glamour model-turned athlete Nell McAndrew, and last but not least, wine merchant and husband to Princess Eugenie Jack Brooksbank (sans Eugenie). 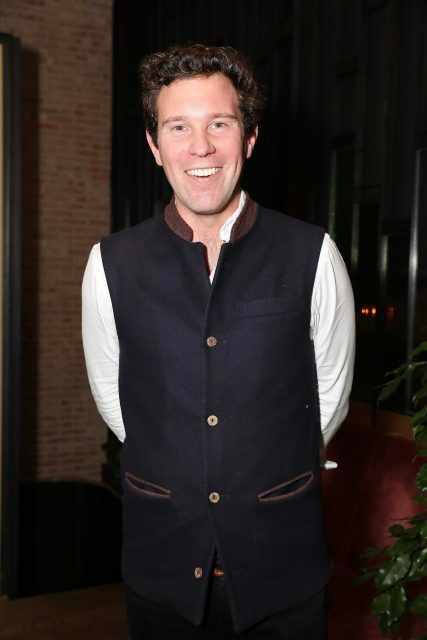 Brooksbank, as some readers may already know, has multiple interests in the wine and spirits industry, and was recently named the UK brand ambassador of George Clooney’s Casamigos Tequila, as well as being the founder of his own wine merchant business. Last time we heard of Brooksbank playing out, he was manning the bar at Prince Harry and Meghan Markle’s wedding and dishing out tequila cocktails. This time, he had the night off.